First a look back at 2013 with the major accomplishments. This marks the end of Year 1 of my mental 5-year plan to take over the world. February/March – Made it through the first round of cut-offs in the Amazon Breakthrough Novelist Contest last February with The White Effect. 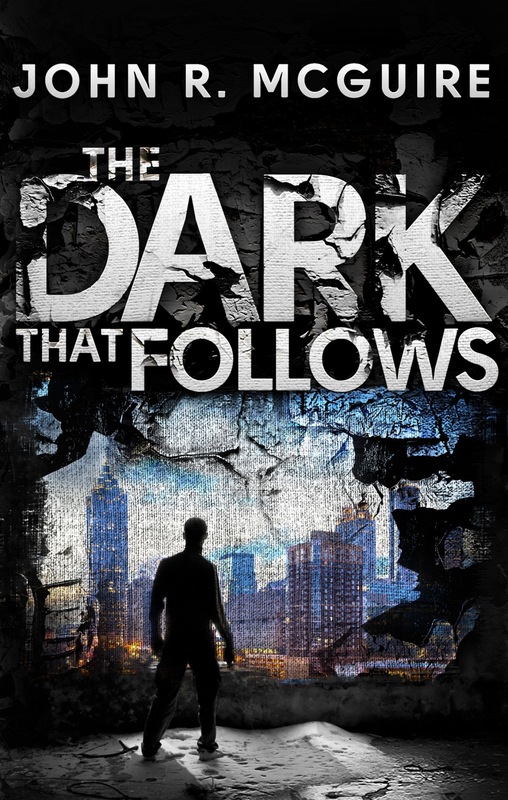 I actually entered this contest with The Dark That Follows the previous year, but didn’t get out of the pitch stage (I found out about the contest the night before it was due, not a lot of time to revise and really think about every detail). This time I knew it was coming and really worked on the pitch to the point where something must have clicked as I made it to the 5000 word submission round. And while I did not make it past that point, I learned a little bit about how things work (or didn’t work) in that beginning. 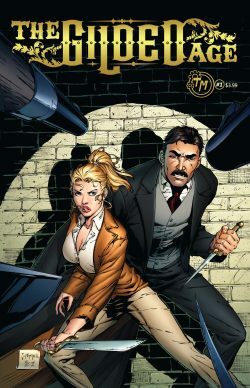 May – The Gilded Age #1 – First full length comic book I wrote and created debuted at Free Comic Book Day. Prior to this my comic work was limited to anthologies, but with this I feel like I’m moving up a step (8 pages to 22 pages!). What started as a bit of inspiration based off a pin-up by an artist (who I never actually got to work with) morphed into this concept of doing a series of complete stories about the various members of a Steampunk era carnival. I’m extremely proud of this comic and cannot wait until the next couple of issues come out. And though I might be a bit biased, I really feel like each issue is better than the previous one (available at Amazon and Comics Plus). 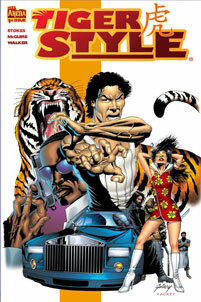 June – Tiger Style #1 – Technically written before Gilded Age, but comics is, at times, a slow moving field, and this book came out at Heroes Con in Charlotte. Up until this convention I had only traveled to cons as a spectator (there is little need for a table when you don’t have wares), but for that Saturday and Sunday I was on the other side of the table (technically I had done Dragon Con as a creator a number of years ago (back in the Dark Ages), so we’ll call this my Modern Age debut!). June – Hired an editor for The Dark That Follows. In order to get the manuscript ready for publishing, I shelled out some funds and hired Will Flannigan to help me in that final process. It’s been a learning experience on my end to see the various things that someone outside my circle notices after reading through things. It is a weird position to be in as technically I have the final word on whether or not I agree with one of his suggestions, but I probably did about 95% of the recommended tweaks, changes, expansions, and I’m positive that the work is better for it. June – Began the serialized novel, Hollow Empire, with J. Edward Neill. This idea formed from a conversation over cards one night where I was talking about a podcast I had been listening to and how they wrote serial novels (Self Publishing Podcast). A couple of days later I had an email waiting for me from Mr. Neill, which basically said: “I’m down with doing something if you are.” Through the next couple of weeks we fired emails back and forth about a potential setting and how exactly we were going to try and conquer this strange format (the goal is to release it in Episodes, like little novellas, on a bi-weekly basis before eventually collecting the 6 parts into a book – Season 1). Writing Hollow Empire has made me a better writer because I have had to turn in something to Mr. Neill pretty much every 3 weeks. I’ve learned as much on this project as maybe my other two novels combined. July – Finished the 2nd draft of The White Effect, my sci-fi novel. Not only am I excited about that book (and getting it finished up in 2014, but more on that below), but it is the longest work of mine to date (90,000+ words) (nothing compared to the esteemed J. Edward Neill, but he’s crazy with his epic fantasy word counts!). Probably the single biggest thing about this project was that I proved to myself that I could finish another book. October – Terminus Team-up #2 debuts at New York Comic Con. My 3rd comic of the year is still only available in print (that should change in the new year). It is an attempt at trying to tell a story combining a Terminus Media character into the world of The Gilded Age. So I structured it the same (a complete story in 1 issue). It’s a cool book with some heart in there (and dinosaurs… and flying carpets… and clockwork men… and adventures… escapes… true love…). An example of what happens when I convince myself that I cannot possibly write a story given certain parameters… and then go on to find that story in the deep crevasses of my mind. October – This here site: TesseraGuild.com. It launched during that month and I’ve managed a blog every week since. Another idea pushed to fruition by Mr. Neill, I believe he chose his Guild wisely with Amanda and Chad (and hopefully me too). I think we are still discovering what this site can be and in the coming months I believe we will only get better. December – Finished the first draft of Hollow Empire. Technically, I’m in the process of writing the last thousand words on my portion of the first draft (got a little distracted by The Dark That Follows being released)… While there is still editing to be done, I’m extremely happy with the stories we’ve managed to read. This is one of the biggest surprises of the year as this thing didn’t exist at all before June. December – Finished scripting duties for a CDC project (actually my second batch of scripts). Can’t say much more about it until it debuts (hopefully next year sometime, fingers crossed). Once it does, I will definitely blog a little about the experience. December – Publishing The Dark That Follows with all the nervousness that such an endeavor entails. When I pressed publish it ended a portion of my life that began 3 1/2 years ago when I was laid off from work for 4 months. After pitching the barest of ideas to my wife over dinner one night: “What if there was a fortune teller who could really see the future? And then what if someone came in who he saw was going to die? What would he do?” – she said “You should write it; you’ve got the time”. So I did. I finished the 1st draft the night before I began at my new job, and as per my last post, pushed Publish on December, 23, 2013 (it too is available at Amazon… maybe you need something to read during this winter?). Since then it has gone through beta readers, wife readings, personal editing, and outside editing. I’m sure it is not perfect (nothing ever is), but I am proud of my work on the book. I think that’s the majority of it. So long 2013. Publish Issue 2 & 3 of The Gilded Age. I’m hopeful for more than that, but given the speed of things and the money involved, I’d rather be a little conservative in my estimate here. Issue 2 is being inked right now, and Issue 3’s script is needing 1 more pass after going over editing comments. Publish Issue 2 of Tiger Style. I believe this one is all but done. Maybe we might get issue #3 as well, Arena Comics? Publish Issue 1 of Entropy. This is a comic book from myself and Robert Jeffrey II about what happens at the edge of the universe after the wars and the plagues and all the other bad stuff has happened. What do you do when all you can trust is yourself and your ship? Kinda a Mad Max in space is what we’re going for. I’m so excited about this comic. I think that Robert and I have created a world that has so much potential. Finish Scripts for Issues 4 & 5 of The Gilded Age – The first set of stories ends with issue 5 and the eventual goal is to collect them all into a graphic novel and then publish them and get them distributed through Diamond. I’m of the opinion that in the comic book process things cannot afford to wait on the writer. He (or she) should never be the thing holding up the penciler. So, I need to make sure to have the last 2 in the bank ready to go when they are called upon. Finish 3rd Draft of The White Effect. I’m hopeful for a few more beta reader comments. I’m targeting late February for the next draft. Hire an editor for The White Effect. Publish The White Effect. This is something that is more than doable, barring something strange happening, it will happen. Hire an editor for Hollow Empire. Publish Hollow Empire. Again, this is going to happen. Saying that aloud is crazy as that would mean I would be publishing 2 books this year. Begin Hollow Empire Season 2. I’m not sure how Season 1 is going to go from editing to getting out there, but I know the story of the world is far from over. Even if it was just getting those first drafts done, that would be a major accomplishment. Finish 1st Draft of The Edge of the World. This is one that my wife has been after me to write for about 2 years now. The story about a young woman, her missing uncle, and the secret of what lies at the end of the Earth. I have it fully outlined and is just waiting for a block of time to get it on the computer. I’m going to try to start this one very soon. Finish at least 4 short stories and send them off to various online magazines. I have a folder on my computer filled to the brim with about 20 story ideas. Some are just a title and a couple of sentences, some have a couple of thousand words written in them, and still others are not sure what they are going to be when they grow up. Regardless, I want to take my shot with a few of them as they each burn a tiny hole in my brain telling me to finish them. Continue blogging for a full 52 weeks. My goal is to not miss a week. We shall see how that goes. So there it is, the plan for 2014. I can’t wait to see what things I accomplished when I check back in at the end of the year. There may (probably will be) something that isn’t anywhere in my brain right now, and that is even more exciting. Tagged End of Year, John McGuire, The Dark That Follows. It’s going to be a busy but exciting year!